The fact that women are not ordained to the priesthood in The Church of Jesus Christ of Latter-day Saints is for some a sticking point, a hot topic, even a potential media controversy. Others aren't troubled by the issue at all. But wherever you fall on that spectrum, you'll be fascinated by this doctrinal exploration of a topic that is crucial for both women and men to understand. 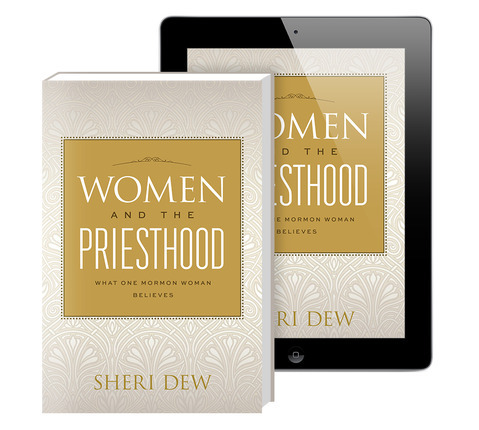 In Women and the Priesthood, Sheri Dew discusses the varying responsibilities of men and women in the context of key doctrine of the Church, including the eternal truths that women are vital to the success of the Lord's church, that God expects women to receive revelation, and that both men and women have access to God's highest spiritual blessings. 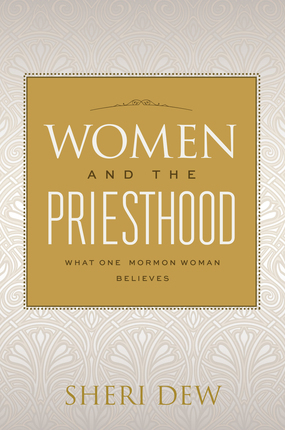 This enlightening book shows how studying the doctrine of the priesthood will help you find the answers you seek about women and the priesthood, about women in the Church, and about the vital influence righteous women can have in the world. Sheri Dew is a native of Ulysses, Kansas, and a graduate of Brigham Young University. 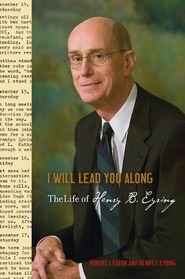 She has written a number of books, including the biographies of two Presidents of The Church of Jesus Christ of Latter-day Saints: Presidents Gordon B. Hinckley and Ezra Taft Benson. She served from 1997 to 2002 as Second Counselor in the Relief Society General Presidency and is executive vice-president and chief content officer of Deseret Management Corporation. Her best-selling books include, most recently, Women and the Priesthood, Amazed by Grace, and Worth the Wrestle. The book has a lot of great insights, but Chap. 6 has what I was searching for, which is the comparison between. women and the priesthood. This book inspired and encouraged me and cleared up some misunderstandings I had. I would recommend it to anyone. This book is so inspirational and is exactly what woman, and men, need to hear in these last days. I just finished he audio book—I am going to listen again because it’s that good! Everyone man and woman should read this. I'm so grateful to have had the opportunity to read this book that put into words many of the feelings I have in my heart. Sister Dew shares her personal experiences which testify of the divine roll of women. In a time where the world seeks to define our worth, in terms of temporal and fleeting terms, she reminds us boldly of our real privileges and prominence in the plan of happiness. The power of the priesthood is defined and explained clearly, as is our access to that power as covenant women. A brilliant exploration of current day prejudices that infiltrate all levels of society, but especially our religious institutions. The Church's complete and full indoctrination of sexism is fully explained in the book. Quite an eye opener to the parallel arguments of "separate but equal" status of blacks in the first half of the 20th century. A fascinating read!! If you like this book, I recommend Woman in the Qu'ran, Traditions, and interpretation. There are also such books based not he teachings of Paul. One hundred years from now, people in the US will look back on these oddities in our culture just as we look back on the discrimination against Blacks today. It is exciting to be living during a time of widespread traditions that will soon be dead, in stead of just reading about it in history books. I really enjoyed it, it gave a new look on the church all together. I am glad I took the time to read it even though I do no have questions about this topic in the church. 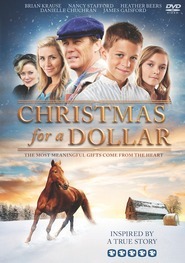 This book caught my eye every time I walked into Deseret Book. As a 20-year-old woman in the church, preparing to be married within a few months, I checked to see the online ratings (5 star average on here and amazon) and decided to purchase this book. I loved it. A lot of it is familiar stuff, but it was in such greater depth. 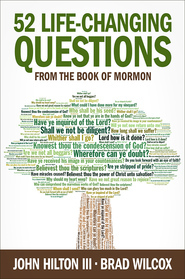 Dew uses some anecdotes from her own life, but most of her examples and teachings come from the lives of women around the world and doctrine from the prophets, apostles, and scriptures. She managed to empower me while also teaching me and showing me all the places in my life where I have a lot of work to do! The chapter about motherhood is especially powerful, especially knowing that she writes about it having had no opportunities in her mortal life to marry and have children of her own. I really recommend this book to men and women alike; though written to women, it teaches so much that can be applied to your life and calling in the church, gender regardless. I did enjoy this book very much. I found alot of information, but some repetitivness, and it started to drag on when it hit about the priesthood. My only compliant is that I find how she says all sisters are welcoming. NOT All Sisters are welcoming. 1. When I was a child, the lds church I went to was nothing but back biting and gossip. Lost my step father who was an investigator. 2. 15 years later I moved to Florida with my parents. Only one couple acknowledged me who were the age of my grandparents, who helped me prepare to go to the temple. 3.When I married in the temple and moved to Sandy Utah for 5 years not one person acknowledged my husband and myself. They only talked to people in their circle like teens did in their own clicks. My daughter was in the NICU for almost Two months before the RS president found out that I had a baby, but only few ladies would help, after that it was back to no acknowledgement. I'm not saying this out of anger, but women and men need to realize it is important to actually acknowledge others and their feelings. Why go to church if your going to be ignored? I'm going because I want to become better, but not everyone feels that way. Sister Dew reads aloud for the audio book, and in her well toned and soothing voice brings to us the words she has written, and studied out in her heart. This book is beautiful. The message of God's love for his daughters rings through every chapter. Sister Dew illustrates through examples from her life, and the lives of other women she has been blessed to know the expectations, and potential every daughter in His Kingdom has. If you are doubting where God's love is for His daughters, Sister Dew directs you to it. If you believe He counts us as second-class in His kingdom, Sister Dew shares quotes from Modern Prophets, and accounts of daily life that show just the opposite. This book made me proud to be a woman. Thank you, Sister Dew for sharing this book with us! 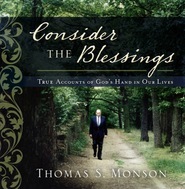 My husband and I read this book together discussing the concepts and scriptures from our own personal perspectives. Although I think Sister Dew's intended audience was primarily woman it is filled with scripture, doctrine and insights that my husband could relate to and apply in his life and calling as well. He enjoyed it as much as I did. Sister Dew is a gifted author and with doctrinal support she reaches out to her readers with sensitively and clarity in a subject that has been controversial and mis-understood. She quotes latter-day Prophets and scripture and adds her insights leaving no room for doubt that womanhood is unique but equal to the Priesthood in the sight of God. I have already given copies to my daughters and I will continue to refer to this book whenever I need a reminder of how important I am to my Heavenly Fathers plan. It is not a long book and well worth reading. I haven't finished this book yet but I'm enjoying it very much. I'm learning much about myself, my role in this world and am encouraged regarding my potential, that even in my "mature" years, I have potential to influence others, learn and grow in my understanding, still. This is a marvelous book for all women to remind us of all that we already do, can do and will be able to continue to do to make this world a better place. We often need a reminder of how much women are revered and appreciated for all the we do in and out of the gospel and church arena and this is certainly one. Husbands and wives could both benefit from reading this book. So I picked this book up today for a Christmas Gift for my wife. But as a "Closet-Sheri-Dew-Reader" I started reading and I can't stop. Her understanding of Women's divine role in the Father's plan is obvious on every page. This isn't some cheesy apologetic approach to womanhood, this is the very doctrine of women that God would have us understand. The thoughts she expresses, with some of the most brilliant quotes from our latter-day leaders, is how my wife and mom view themselves. There is no inferiority complex when the full doctrine is in view. Sister Dew is brilliant in the defense of our unique and commendable and accomplished and mature view that womanhood is equal in the sight of God to that of the priesthood. A must read. This will be a book all of my kids will read before they leave the nest. A great gift, but if you are like me...read it first!